The first beta version of OutWit Images was posted on Firefox Add-ons and came out of the experimental zone this weekend. 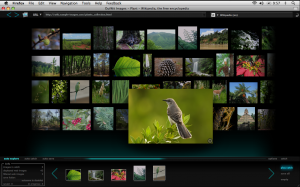 This new outfit is an online image browser that not only allows you to view Web images as a slideshow or as a wall of thumbnails but also to grab the pictures and save them to your hard disk. You are currently browsing the OutWit Technologies Blog blog archives for November, 2008.